Opti-Time for Salesforce integrates the geographical intelligence that is at the very heart of Salesforce ©. Geo-optimization helps mobile teams improve the preparation and effectiveness of their route plans. The customizable display of the accounts on the map makes it possible to create customized profiles (VIP customers, hot prospects, accounts to be visited…) and to taking the distribution of the portfolio at a glance. 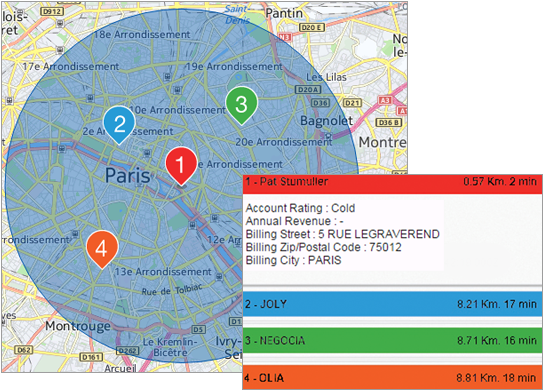 The application identifies the accounts to be visited based on intelligent geographical targeting. The application’s powerful optimization algorithms reorganize the various stages of the route while complying with the constraints (points of departure and arrival, specific timeslots, appointment duration…). 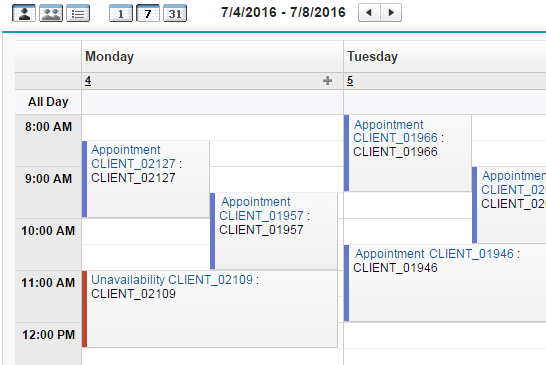 Opti-Time for Salesforce automatically generates the schedules for the visits to be made. Guaranteeing efficient coverage of the customer portfolio and the achievement of sales targets! Do you use Salesforce © and manipulate custom objects? 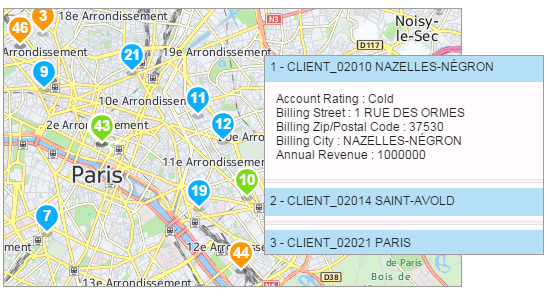 Opti-Time for Salesforce is 100% integrated with your Salesforce © application and manages all your localized custom objects (objects associated with an address or location data). Not using Salesforce © but interested in Opti-Time for Salesforce? Opti-Time for Salesforce is an OEM application. It operates on a stand-alone basis and give you access to the essential features for managing your customer relationship (accounts, contacts, events…). Check out the trial version now ! Has a customer cancelled at the last moment? Find alternative appointments directly from the field! Opti-Time for Salesforce is available on smart phones and tablets. Download the Salesforce application and login with your usual identifiers.